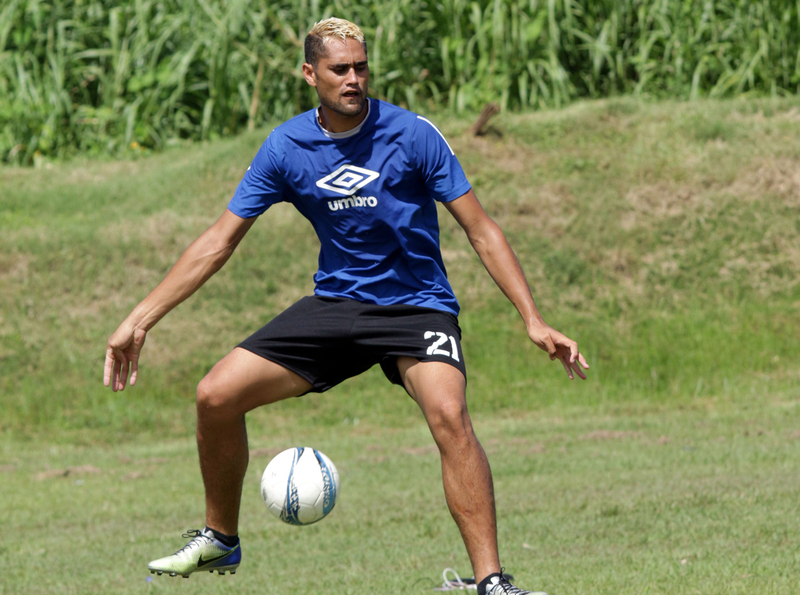 AS Central Sport captain Fred Tissot is confident that he can lead his side out of the group stage of the OFC Champions league this season. The towering striker played a key role in brushing aside their opponents, Solomon Islands debutants Henderson Eels FC 3-2 to secure 3-points in their opening match. Tissot believes AS Central have as much chance as other teams in keeping their campaign alive . The 23-year Marquesan skipper has been around football all his life. Since his first appearance in the red jersey at the 2015 Pacific Games in Papua New Guinea, Tissot has made several appearances for Tahiti including the 2018 FIFA World Cup Russia™ Qualifiers – OFC Stage 3. The Tahitian international said he is privileged to be captaining his club. While it won’t be an easy match for Tissot and his teammates the young leader is adamant the side will continue giving their all to keep their dreams alive. AS Central Sport will play FC Morobe Wawens in today’s opening match at Churchill Park in Lautoka which kicks off at 13:00 Fiji time.